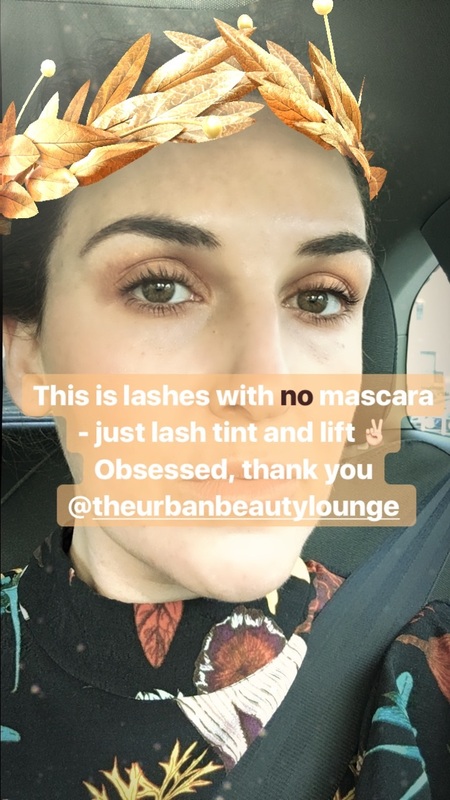 I visited The Urban Beauty Lounge for another lash lift this last week (as yous saw on Instagram Stories) and got quite a few questions, so thought I would explain the procedure and share my thoughts on it. Spoiler alert: I LOVE it. 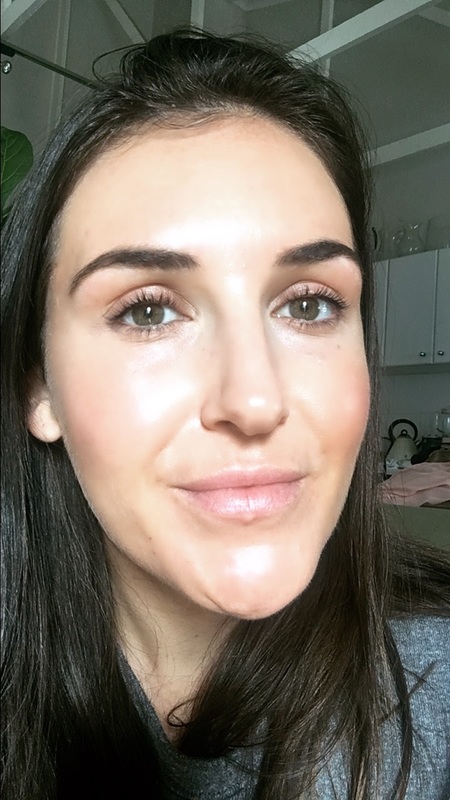 Before I went for my first ever lash lift (about a year ago) I did my usual crazy Googling to get every review and bit of info I could find, however, I found it really hard to get a proper understanding of 1) what the procedure involved and 2) the finer detail like how well it lasted, aftercare etc, so I wanted to do this post to inform you in case you are keen on looking into this. In short, this really is the ultimate pre-holiday beauty treatment which is why I got it. Having dark, curled lashes all holiday long is a DREAM. Side note: I am not back from 3 weeks of holiday and my lashes are still fully curled and look amazing. What is a LVL Lash Lift? What does the procedure involved? The worst part for me (as I am just generally bad at sitting still) is that the procedure takes 1hr10 minutes of lying with your eyes closed - I'm being dramatic in saying that and I know some people love the peace and quiet of lying still for over an hour (and often fall asleep) - I, on the other hand, just get antsy, but it's hardly anything to complain about! There is zero discomfort other than the fact that the chemicals may feel slightly tingly on your eye area - again, nothing vaguely notable though. 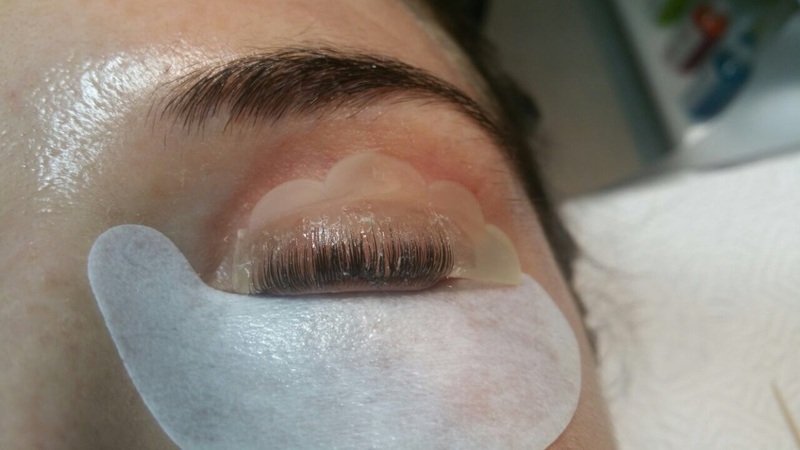 The treatment starts with the therapist assessing your lash length and deciding which 'curl' to go for - so there is essentially small, medium & large options. I have only ever done the small, which means that my lashes are quite short so the curl needs to be tighter. The therapist then curls each lash backwards over the dome (which has a silicone-like glue on it) - this part is probably the most time consuming part as she has to make sure each lash is not crossing over the other. 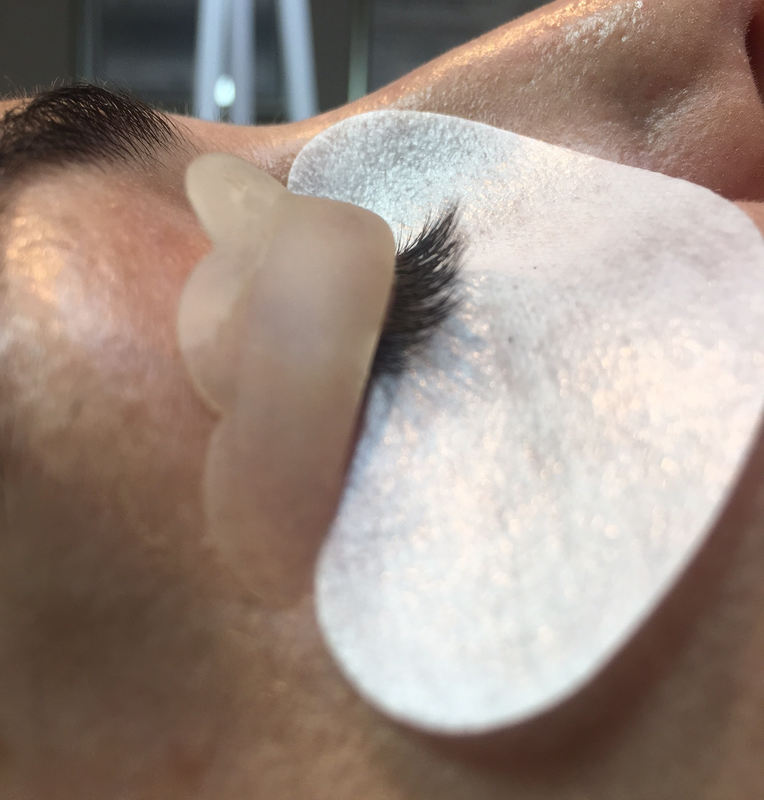 The perming solution is placed on afterwards so the lashes are 'set' like this, hence it being important that it's done carefully and that each lash is straight. The perming solution is then left on the lashes for about 10 minutes to set the curl in place. I opted to have a lash tint afterwards to further enhance my lashes and would definitely recommend this, unless you have super dark lashes (although mine are really dark and the tint still helps me). I actually forgot how much I love this treatment. It makes for the most low maintenance make up ever. I am quite happy not wearing foundation, but when I don't curl my lashes or wear mascara I do look like a bit of a mole, so this treatment works wonders for me. I got it this time around as I am off on a summer holiday to Italy, so know I will be in and out of the sea and too hot for make up most of the time - so this treatment (plus my tint) basically looks like I am wearing mascara all the time! Seriously, such a win. Damage wise, this is incomparable to extensions and, much like getting Gelish or Shellac on your nails, I would advise taking a break here and there if you were to start doing a treatment like this. That's just my personal opinion as naturally the perming lotion will dehydrate your lashes a bit. It won't cause any lashes to fall out and may not be noticeable at all, but I like the idea of having a break after 3 or so treatments. The fab part is that it lasts 6 - 8 weeks, so doesn't need to be done often. based on my previous experiences, it is quite addictive as when your lashes start straightening out and going back to normal, your eyes just look that much less 'awake' and big. you'd be surprised at how much it opens up your eye area! Aftercare-wise it's pretty simple, which also works for me as I am so bad at being too OCD and careful like you have to be with lash extensions. The only aftercare is to not wet the lashes for 12 hours post-treatment. thereafter you can carry on as normal - you can wear mascara as normal and use whatever eye-make up remover etc, no concerns here which I love! Cost wise the lash lift is R480 and the tint is R70 - not bad considering how long it lasts for. Lastly, probably a strange thing to add but a huge bonus for me, when booking at The Urban Beauty Lounge you can simply send them a Whatsapp and they respond immediately. I love that - so convenient when at work and also no need for a phone call - win! They also send you a reminder SMS before your app. The Urban Beauty Lounge is based in Wembley Square behind the Vida. Parking is super easy and always available. you can Whatsapp them on 076 386 4793 for bookings (the therapist I saw was Yvette). This is great. I am super curious! My lashes are short so I am interested to see how this helps! Mine definitely aren't long so think it's extra amazing for short lashes! Do you know where this can be done in Joburg / Pretoria?